There’s certainly no denying that Mazda‘s decision to take their evergreen MX-5 back to the spirit and feel of the original Mk1 was the right decision, a fact backed up by its remarkable success out on the forecourts across this green and pleasant land of ours and in the magazines and digital reviews published so far. And now Mazda is hoping to build upon all of this positivity and for things to turn a little Arctic this winter with the launch of the latest special edition version of the award-winning MX-5 convertible. On sale from February, the new Mazda MX-5 Arctic aims to brighten winter days with its free-of-charge Blue Reflex Metallic paint and contrasting bright silver design cues. 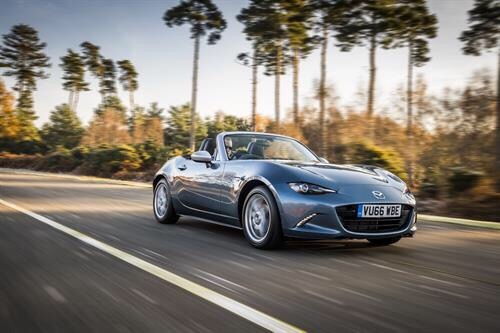 Based on the 1.5-litre 131ps SE-L Nav, Mazda have shared with MotorMartin that the MX-5 Arctic’s striking silver details contrast attractively against the icy blue paint. 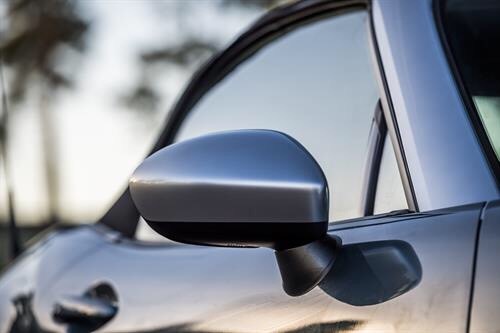 With 16-inch Silver alloy wheels, a silver windscreen surround, silver wing mirrors and silver headrest hoops the Arctic has the distinctive look you’d expect of an MX-5 special edition and continues the trend of offering sports car customers a striking car at an affordable price. 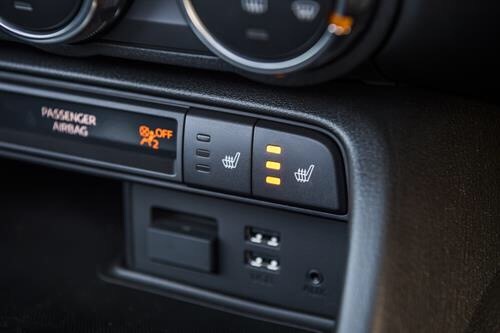 It’s not just the exterior that has had time spent on it as inside, the stand-out feel continues with silver cup holder rings and chrome scuff plates, while the upgraded equipment tally includes heated leather seats, automatic headlights, rain-sensing wipers and rear parking sensors. Limited to just 400 cars this UK exclusive special edition features a numbered limited edition badge on the dashboard. Best get that deposit sorted pretty quickly then. MotorMartin has been made aware that this is in fact the second MX-5 to wear the Arctic badge, the latest car revisits a name last used on the second-generation MX-5 in 2005. Available with 1.6i and 1.8i engines the original MX-5 Arctic was offered in a choice of Sunlight silver, Titanium grey or Razor Blue paint and the standard equipment tally included air conditioning, 15-inch alloy wheels, heated dark blue leather seats, blue door inserts and chrome detailing on the window mountings and still looks fantastic today. Commenting on the launch of the new MX-5 Arctic, Jeremy Thomson, Managing Director of Mazda Motors UK informed MotorMartin that: “We are delighted to offer another special version of the award-winning MX-5 convertible; we’ve had a long history of producing distinctive limited edition MX-5s that allow customers to drive a sports car with stand-out looks and enhanced standard equipment. The new MX-5 Arctic’s exclusive looks and great value mean it’s sure to be a popular choice when it arrives in dealerships early next year”. 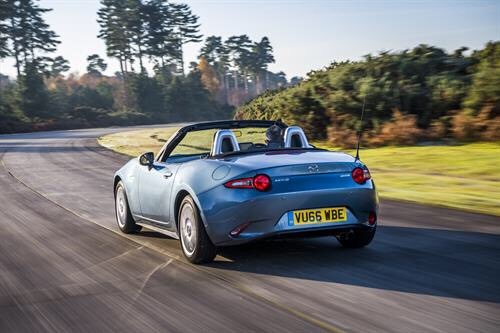 Looks like another fantastic addition to the MX-5 family, congratulations Mazda.